We’d love your help. Let us know what’s wrong with this preview of The Total Money Makeover Workbook by Dave Ramsey. Best-selling author and radio host Dave Ramsey is your personal coach in this informative and interactive companion to the highly successful New York Times bestseller The Total Money Makeover. With inspiring real-life stories and thought-provoking questionnaires, this workbook will help you a A simple, straight-forward game plan for completely making over your money habits! Set up an emergency fund (believe me, you're going to need it) Pay off your home mortgage?it is possible. Prepare for college funding (your kids will love you for it) Maximize your retirement investing so you can live your golden years in financial peace Build wealth like crazy! To ask other readers questions about The Total Money Makeover Workbook, please sign up. I heard that Mr. Ramsey is religious and that it comes across in his books. If this is so, I would prefer something more secular. Can someone who has read his books, let me know? Misty So, it's not in your face religious, there's really not that much throughout the whole book, and when it is mentioned, it's minimal. When it is, it's…moreSo, it's not in your face religious, there's really not that much throughout the whole book, and when it is mentioned, it's minimal. When it is, it's also relevant to what he's talking about. Although this has an overly Christian undertone...if you can get passed that, the financial advice is pretty sound. My husband and I are on Baby Step #2 and on our way to putting to rest our financial turmoil. Recommends it for: Everyone who makes or uses money. Great book. All should read it and teach it to their children. I liked the book better than listening to the book on CD. 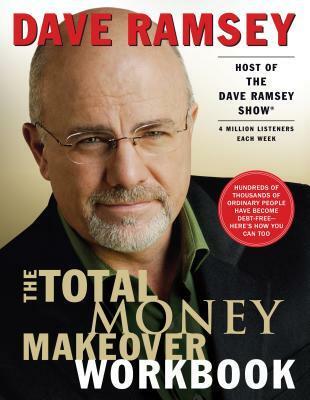 Dave Ramsey himself reads the book on CD and I found him a little obnoxious in his tone and attitude. It was an ok book. It made some interesting key points, but overall it was not what I expected. I knew it dealt with debt but I expected something else besides that. Nonetheless, I believe that indebted people could find it interesting and make good use of the exercises and tables it provides, especially to realize in which situation they are in and how to slowly reverse it. Nice finance book. Mostly didn't like how it was written. Emphasized how his method was a proven way to get debt free too much and talked about god way to much for my taste. But finance advice was on point through the book. If you have never taken a personal finance course or are swimming in debt, this is a great starting point on taking control of your finances, living within your means, and changing your financial family tree, while also teaching you that the real reason to build wealth is to be able to help others. This is a great companion book to Financial Peace University! I powered through this audiobook, theres a chalk full of information and this is a book that I will be going back to for reference and to complete my next “baby-step” to financial freedom. This is by no means a short term win but it’s a long term gain of wisdom and knowledge. I loved this book. I had heard of Dave and his 7 baby step process but didn't know that much. This book really laid it all out for me and helped me have an amazing plan for my future. I think if anyone has a chance they could read this because once you do, your life with be changed for the better. Dave is hilarious and I love the way he wrote this book. It is a blessing to my fiance and I, and it has really helped us. I can't wait for us to meet Dave someday! Amazing. I am in love with Dave Ramsey. He told me all the secrets on how to retire a millionaire and I plan on doing just that. Thanks Dave. Good book. Common sense stuff that is worth repeating. I especially like the zero dollar budget idea, or, give every dollar a job. Good stuff. Great book. Encouraging anecdotes and a proven process can help you achieve the financial goals that you have always dreamed about. 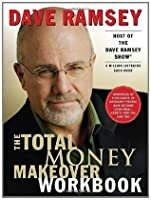 This book transformed my financial life forever. I wasn't putting a dime away and was living check to check; after I read this book, I was inspired to do better for me and my family. I know that the information didn't really change from the book to this book, but there were exercises that I can work on and it would give me more of an insight to what my financials are now versus what they could be. It also goes those the seven baby steps, and gives you a few exercises to work on for that baby step. It's almost like helping you plan each baby step as you go along. I'm not really "done", but I have gone through the book and am starting with the steps and am so excited to finally be facing up to these debts that I do not need in my life - mainly those student loans that I wish I did not have, but on the other hand, I would not have the job I do without that Master's degree, so... I just plan to be able to pay cash for my daughter's education so she does not have to deal with this garbage of massive debt! If you are broke all the time, then you must read this. 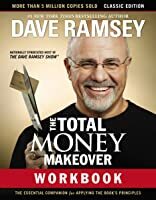 Dave Ramsey is one of the best financial counselors you can find in the internet for FREE. His well crafted baby steps could take you from having 0$ in savings or even your wallet to a good financial plan that will allow you to retire with dignity and live the life you were meant to enjoy. I think the book was really well written and had a lot of great points! The baby steps are great and I can really see you becoming debt free with his plan! I didn't think it was too religious which I know a lot of people complain about with him. The next step is to have my husband read so we can get on the same page and put these baby steps into action!!! Here is to being debt free!!! Once I started this book I couldn’t stop. The tips aren’t new or complicated, but the process outlined makes “financial fitness”, as Dave Ramsey describes it, attainable. I know it won’t be easy, but I can’t wait to get started on my financial fitness journey! I felt like it was far more of a self-help and motivation book than a financial management book. Overall his points are valid and for 90% of Americans his system should work for you. This is a book that I will review on a regular basis for the rest of my life. I find this little over-rated book, good for new learners about finance ! I found this workbook very useful for going over the fundamentals. Some of the worksheets are a little inflexible and assume certain lifestyles, but overall it has been great help! This book makes so much sense. Applying it to life is really hard, but it will be worth it. Baby-step 2 participant here. Hate this guy soooo much, love his stupid steps. I have gazelle intense focus!! I thought I was ok financially. Apparently not. This is just an overview of the actual book with a few activities. Don't waste your money buying both. Dave Ramsey, the nationally-syndicated radio host of "The Money Game" and bestselling author, has helped thousands through Financial Peace University-a 12-week financial planning program. He presents seminars in churches and corporations throughout the country. He holds a degree in finance and real estate and lives with his family in Nashville Tennessee.